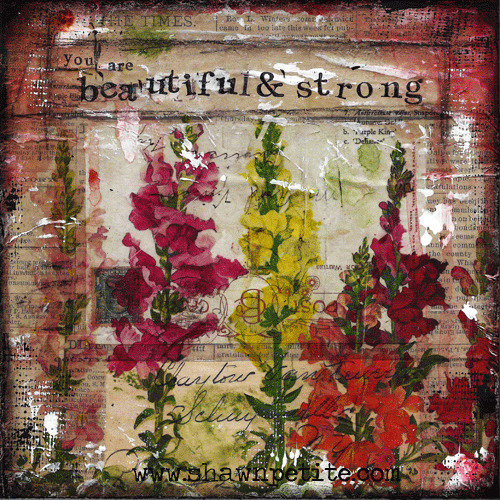 This print of the original captures the many gorgeous layers of vintage papers and paint. Created on 3/4" wood substrate with sides and back painted black with keyhole for hanging. Signed and Sealed with a soft gloss sealer.